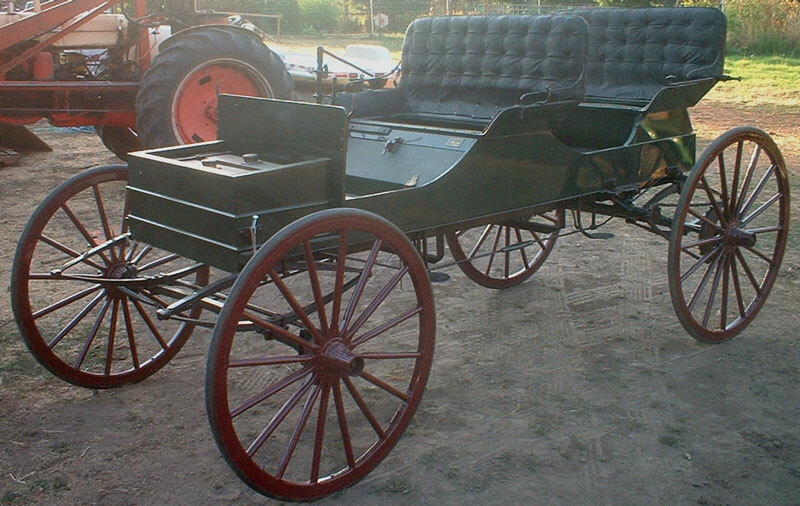 This dark green 1907 Reliable Dayton Model I Surrey 4 passenger high wheeler motor car is restored with all new wood in the wheels and body. 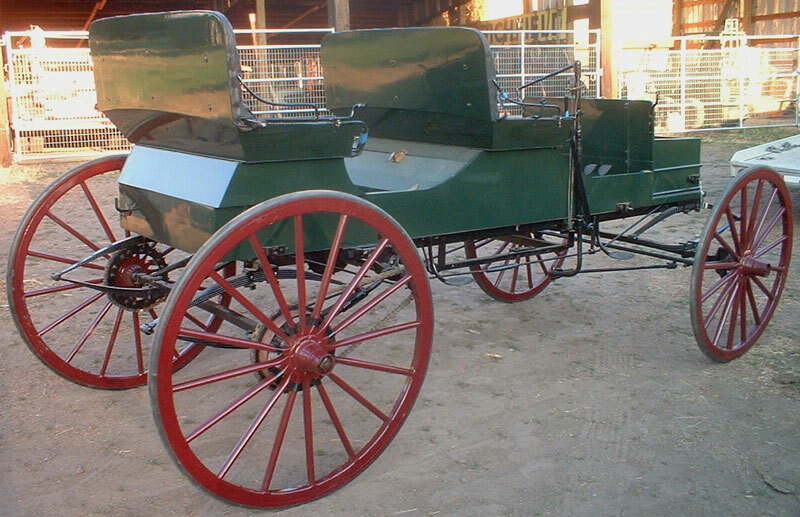 This high wheeler was advertised as "The first real successor to the horse". It has leather fenders and a complete folding top (not shown). The original 2 cylinder 15 HP engine and transmission were scrapped during the war when this car was converted to electric power. The car had a rope drive and solid rubber wheels. The original gas and water tanks remain in the front of the car. This is a very long 98" wheelbase high wheeler and combined with the small hood in front makes this car one of the classiest-looking high wheeler ever made. This would make an ideal museum display vehicle. 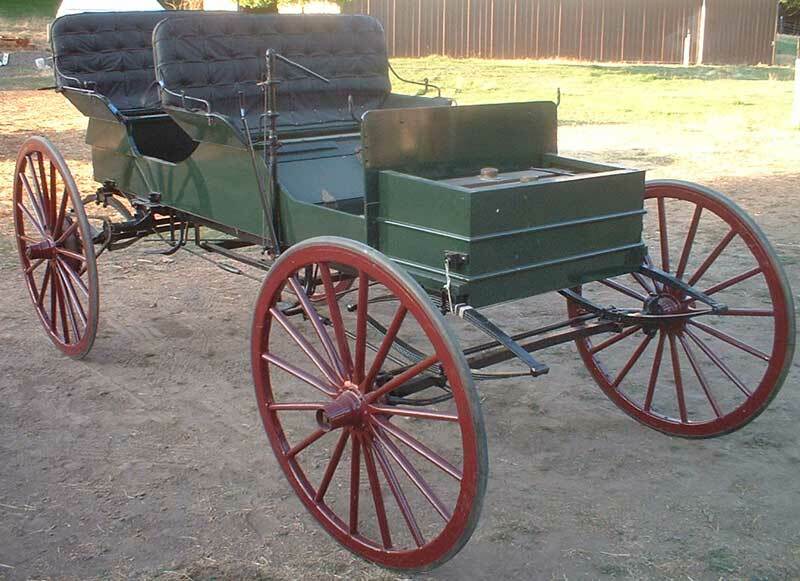 Do not miss this opportunity to own an extremely-scare 07 Reliable Dayton high wheeler surrey motor car. The car now comes with a motor but no transmission.